DETROIT -- Chrysler Group -- the U.S. automaker controlled by Italy's Fiat S.p.A -- today reported its first net profit since emerging from bankruptcy in June 2009. Chrysler posted net income of $116 million for the first quarter, compared with a net loss of $197 million a year earlier. Revenue jumped 35 percent to $13.1 billion as global vehicle sales increased 18 percent. Cash rose to $9.9 billion on March 31 from $7.3 billion three months called the results "impressive" and noted Chrysler exceeded Wall Street expectations "on all levels." Chrysler also said it generated free cash flow of $2.5 billion -- up from $1.6 billion during the same quarter last year. Morgan Stanley called that result "the key positive surprise for us, leaving net debt at only $3.4 billion." "Chrysler Group's improved sales and financial performance in the first quarter show that our rejuvenated product lineup is gaining momentum in the marketplace," said Fiat-Chrysler CEO Sergio Marchionne in a statement. It's "too early to declare them the comeback kid, but they are back in the ring fighting," Warren Browne, a vice president at consultant AutomotiveCompass, said in an e-mail before the release. The profit punctuates the ongoing reconstruction of Chrysler by Fiat, which took management control as part of the U.S. government bailout two years ago. Chrysler had been steered by private equity firm Cerberus Capital Management, which acquired 80 percent of the U.S. automaker from Daimler AG in May 2007 for $7.45 billion. Monday's profit announcement marks the second financial milestone reached by Chrysler within a week. On April 28, Chrysler said it intends to repay its U.S. and Canadian rescue loans this quarter via a new term loan and debt offering. Marchionne has said that high interest rates, up to 14 percent on U.S. loans and 20 percent on Canadian loans, kept Chrysler from reporting a profit in 2010. Chrysler owes the U.S. government $5.8 billion and the Canadian government $1.7 billion. Repaying the loans would allow Fiat to exercise a call option to increase its ownership stake in Chrysler to 51 percent, a level Fiat hopes to achieve in the fourth quarter. On April 12, Fiat boosted its stake in Chrysler to 30 percent, the second of three 5 percentage point additions allowed under terms of the bailout. The latest was triggered after Chrysler achieved $1.5 billion in revenue from sales outside the United States, Canada and Mexico. Chrysler is banking on its relationship with Fiat to diversify its portfolio of vehicles -- which has been dominated by trucks, minivans and SUVs -- toward a more fuel-efficient lineup including small- and mid-size cars built on Fiat platforms. The Fiat 500 small car has just begun selling in some U.S. Chrysler dealerships. 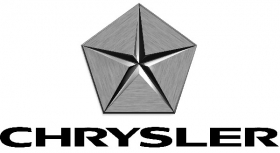 Under Fiat management, Chrysler revived its lineup by introducing 16 new- or heavily revamped vehicles in 2011. Chrysler's U.S. market share increased to 9.2 percent in the first quarter, up from 9.1 percent a year earlier. The new products have benefited from the company's "Imported from Detroit" ad campaign that included a successful Super Bowl advertisement featuring rapper Eminem. Riding that marketing momentum, Chrysler's U.S. vehicle sales rose 23 percent in a market the improved 20 percent. In March, Chrysler sales rose 31 percent. April results are scheduled for release on Tuesday. In a separate announcement, Chrysler said on Monday that it would borrow $3.5 billion in a senior secured six-year term loan and $2.5 billion in secured bonds that will have eight- and 10-year maturities. Chrysler plans to use the term loan, bonds and $1.27 billion in cash from Fiat to refinance its government loans during the second quarter. The company also confirmed plans to secure a $1.5 billion five-year revolving credit facility, as sources previously told Reuters. A refinancing deal would bolster Chrysler's balance sheet, making it more attractive for an initial public stock offering. The deal also paves the way for Fiat to take majority control of the U.S. automaker.